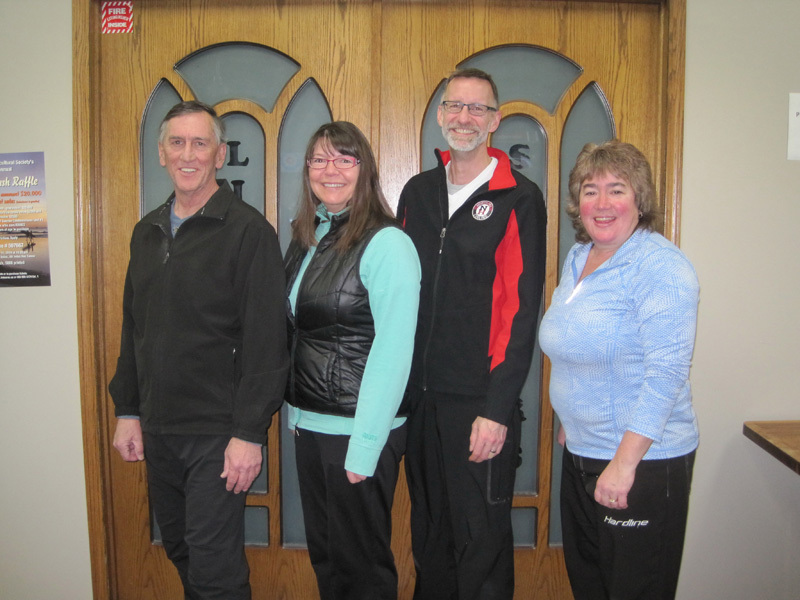 The Chestermere and Indus Curling Clubs hosted their 12th Annual Combined Modified Mixed Bonspiel on February 1st, 2nd & 3rd, 2019. The qualifications to enter were that only the Skip and Third must be of opposite genders. There were a variety of team combinations entered. Teams alternated their draws between the two ice rinks and the ice conditions were fantastic at both rinks with super keen ice! The competition was very close with several games going to an extra end. The two clubs have a terrific relationship, and great fun was had by all! There were 17 teams vying for the top spot in 4 Events. Ten of these 17 teams were from Chestermere and Chestermere teams ended up winning each event. The A Event went to the Raniseth team consisting of Skip – Steve Raniseth, Third – Sylvia Adams, Second – Kyle Nociar and Lead – Hugh Adams. 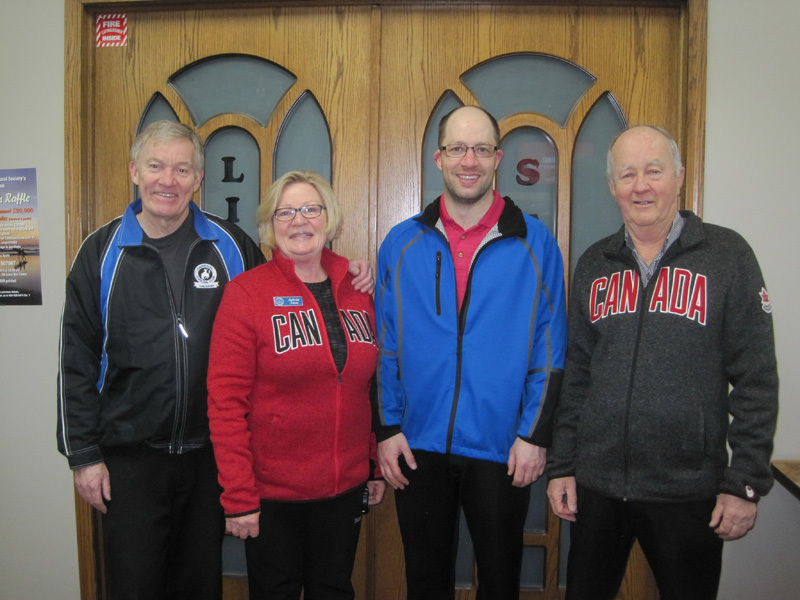 This win was especially significant since Sylvia & Hugh Adams are inaugural members of the Chestermere Curling Association, they have Curled in Chestermere since it opened it’s doors in 1986 which was 33 years ago! 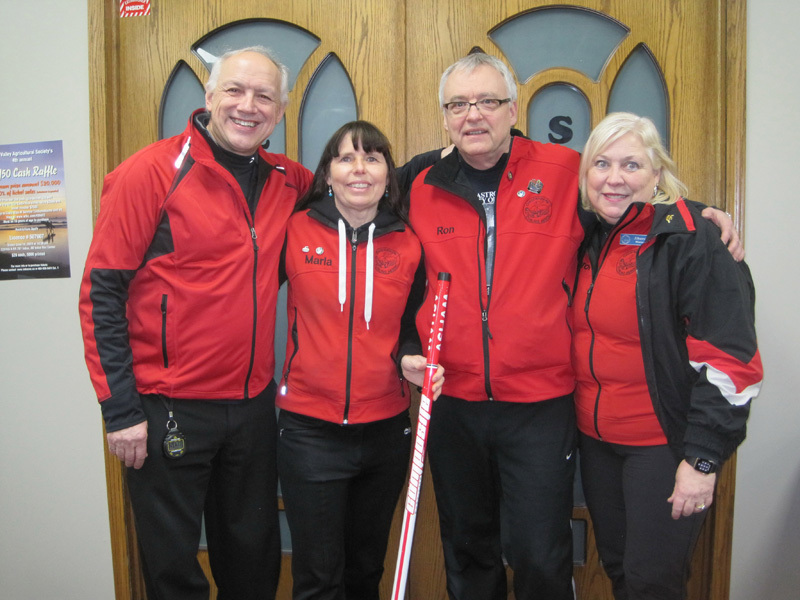 The Woronuk team captured the B Event; Skip – Nick Woronuk, Third – Marla Forth, Second – Ron Forth and Lead – Sharon Woronuk. 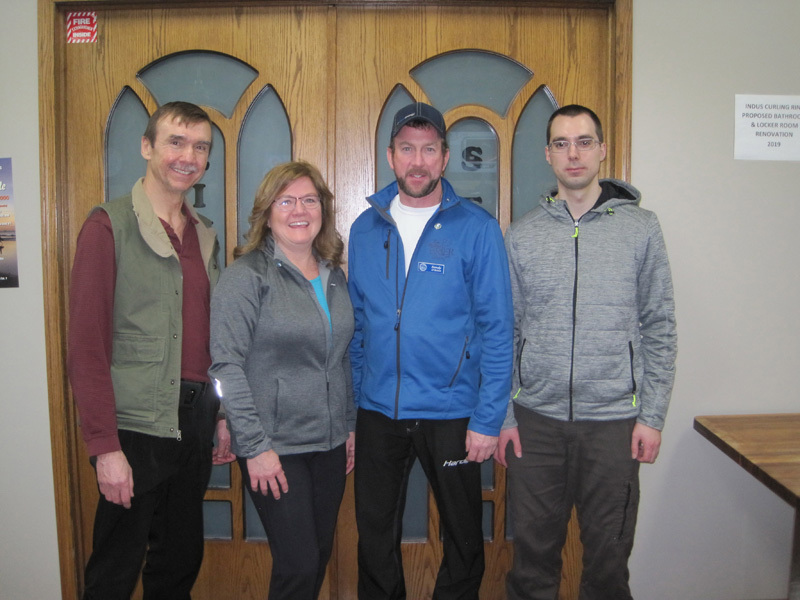 Last but not least the winners of the D Event were; Skip – Andy Hamel, Third – Karen Timmermans, Second – Sandy O’Brien and Lead – Luc Hamel.